Heavy metals we’re not talking about Ozzy Osbourne, in your body – there are 23 of them! 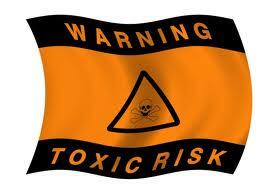 The most dangerous to the body and of no use are mercury, cadmium, lead, arsenic and aluminum. Do you remember the liv-ah? These are the substances that just keep going round and round and round on account the liv-ah doesn’t know what to do with it! Your liver needs some help. Avoid at all costs these metals and get some help for your liv-ah! The second best thing a person can do is to supplement. Your body needs some help…. Aluminum – The specific gravity is 2.80. The best way to test for contamination is blood, urine or feces for recent exposure; hair or fingernail analysis will detail the last 3 to 6 months. Hair with coloring in it will not give a reliable reading of toxicity. Because of its low specific gravity, aluminum is not a heavy metal. Aluminum can leach calcium from the bones. It can also stop the body’s ability to digest and make use of calcium, fluoride and phosphorous. Arsenic – The specific gravity is 5.7. The best way to test for contamination is urine for recent exposure; hair or fingernail analysis will detail the last 3 to 6 months. Hair with coloring in it will not give a reliable reading of toxicity. During the Victorian era arsenic was believed to prevent aging. Cadmium – The specific gravity is 8.65. The best way to test for contamination is blood or urine for recent exposure; hair or fingernail analysis will detail the last 3 to 6 months. Hair with coloring in it will not give a reliable reading of toxicity. In the liver it is bonded to protein forming complexes, which are then transported to the kidneys causing damage to the filtration process. The damage allows essential proteins and nutrients to be excreted from the body causing even further damage. Cadmium is very difficult to remove from the body. Lead – The specific gravity is 11.34. The best way to test for contamination is blood. Lead suppresses neuron clusters in the brain. Mercury – The specific gravity is 13.546. The best way to test for contamination is blood or urine for recent exposure; an x-ray will show if it is flowing through your system. Mercury prevents zinc from performing its normal function in the body, even where there is plenty of zinc. Contaminated fish and seafood have become major issues. Never eat Mackerel King, Shark, Swordfish, Tilefish or Grouper. In general, the older and larger the fish the more mercury they will contain.